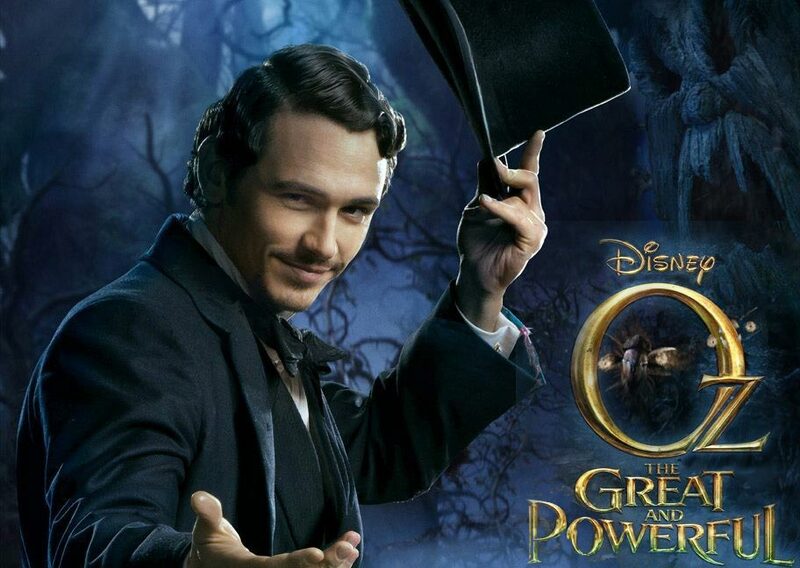 Is Oz Great and Powerful? Written by Matthew Harper. Media by Jeff Schaeffer. When the name Sam Raimi pops into your mind, I’m going to go out on a limb and assume that the first thing you think of isn’t a family film. Yes, he did make the Spider-Man trilogy, but those were PG-13 superhero flicks, a very different beast than Oz the Great and Powerful, a PG, family-oriented adventure story set in a colorful world that tries (and usually manages) to be fun and light-hearted enough for the kids while still entertaining for us older folks. I’m a diehard Raimi fanatic, so I knew from day one that this would be a trip to the theater for me. I was pleasantly surprised by how much I ended up liking it, though. Raimi is a unique director, known for his quirkiness, and I was somewhat astounded by how much of that quirkiness he fit into what is, in the end, a Disney movie aimed at the young ‘uns. Be it his smash cut zooms (at a variety of crooked angles) that will have Evil Dead fans quietly giggling to themselves, the short but joyous recreation of the floating-above-the-table-dance from Drag Me To Hell when the Wicked Witch tinkers with James Franco’s Oz, or the big scares that he sneaks in to ruin kids lives for a while much like the 1939 classic’s Wicked Witch ruined many of ours, this really is a Sam Raimi picture, and that wasn’t something I had any hope of it being. Sam has an unfortunate history of studios ruining his work (Spider-Man 3, of course). That being said, all of the quirky fun and perilous moments wouldn’t work if we weren’t at least somewhat invested in our protagonist and his companions. The good news, then, is that we definitely are. James Franco, whom I almost always underestimate (well, sometimes that is justified, judging from his abysmal performance in the otherwise grand Rise of the Planet of the Apes), turns in a likable, charming, and perfectly conniving performance here as Oz, a character who is definitely not so great in the early goings. He goes through women like they mean nothing (all except for the one girl he really, truly wants, who happens to be the one he knows he isn’t good enough for, despite her disagreements), he treats his assistant (the hilarious Zach Braff of Scrubs fame, who also portrays Finley, the bellhop monkey) like crap, and he under values himself constantly. Oz’s trip through this strange, colorful world finally helps him realize that he can be a great wizard, just not the sort anyone expected. I’ve already mentioned Braff, who’s Finley, the main sidekick to Oz for most of the film’s running time, is sure to be a big hit with the kids, but much of the rest of the supporting cast does a great job as well. 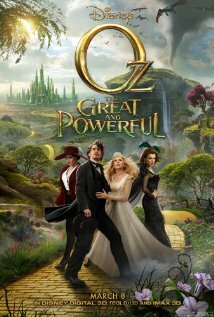 Rachel Weisz is fantastic in her twisting role as Evanora, one of the witch sisters, as is Michelle Williams as Glinda. Mila Kunis isn’t nearly as strong as Theodora, but she has easily the hardest job out of the three actresses playing witches and she is by no means bad. It really is Franco’s show, though, so if you were at all worried about him dragging the movie down, get rid of that concern. He’s a perfect fit for the adventure that unfolds. Raimi’s decision to use a lot of actual sets aided with background CG is a respectable one. It not only works as a modern interpretation of and homage to the classic Wizard of Oz’s colorful sets and matte backgrounds, but also looks far superior to overly green-screened messes that most fanciful worlds give us these days (looking at you, Burton’s Alice in Wonderland). Effects are practical when they can be and computer generated when need be. The CG, thankfully, is very strong, especially the effects bringing China Girl to life (a lot of credit, too, goes to actress Joey King, who makes the character almost unbearably adorable). Speaking of 1939’s The Wizard of Oz, if you go in expecting this to be perfectly canonical and a cut and dry prequel, you’re going to be disappointed. This never aims to be either of those things, nor should it have. Besides, Baum’s stories were constantly contradicting each other. 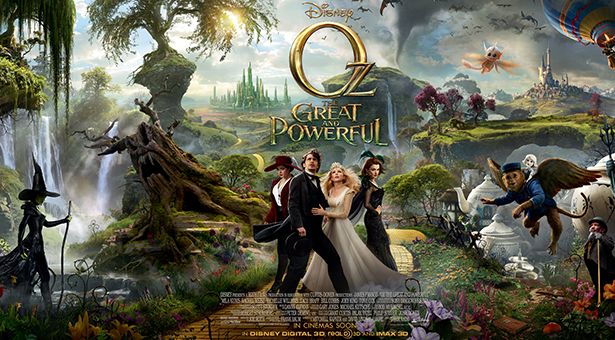 Oz the Great and Powerful is a fun, fanciful trip into Oz that puts other recent family fantasy fare to shame (still looking at you, Alice in Wonderland). I liked this one a lot more than I’d hoped to. It might be middle of the road Raimi in the long run, but middle of the road Raimi is not something to complain about in a Disney picture. Oh, and one last thing: keep your eyes peeled, Ted Raimi and Bruce Campbell fans.